Welcome to Pebble East. 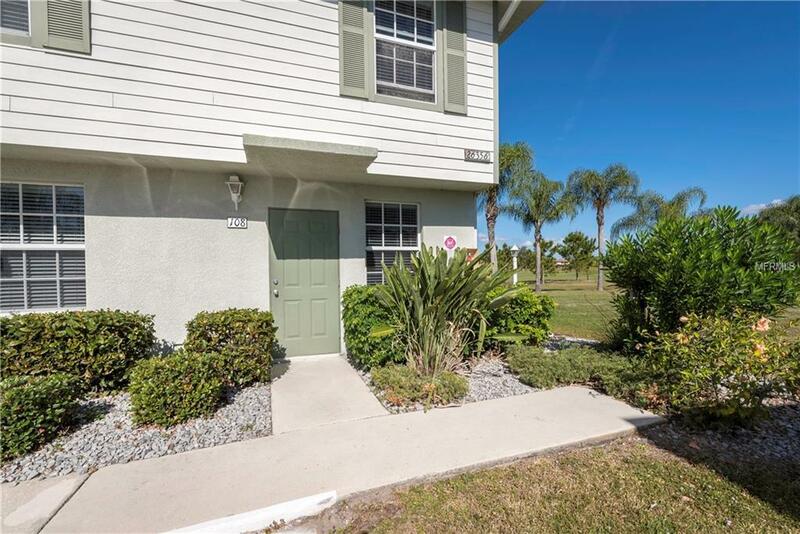 Beautifully maintained, 2 bedroom 2.5 bath golf course view END UNIT townhouse with heated swimming pool. 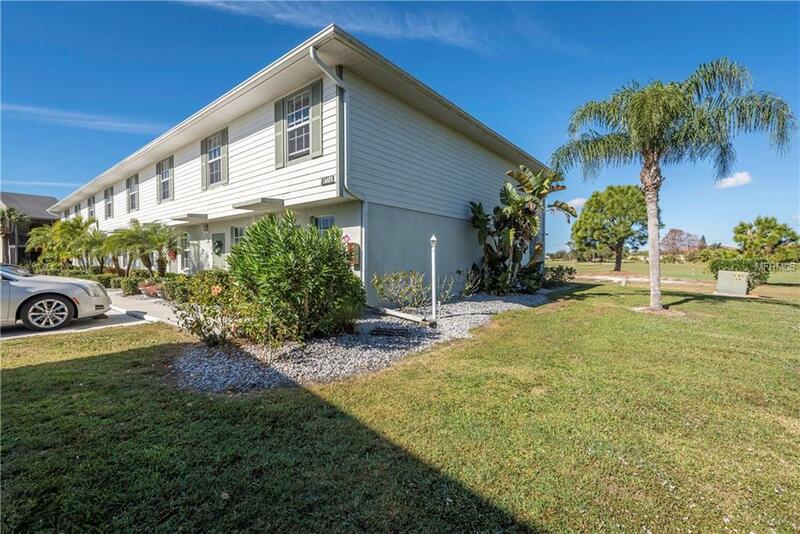 Open floor plan on the first floor with updated kitchen, breakfast bar, dining/living room combination, 1/2 bath and spacious enclosed lanai overlooking Deep Creek golf course. Tiled flooring throughout the first floor for easy maintenance. Wood cabinets in kitchen and recently tiled back-splash, dishwasher, microwave range hood, large sink. Water heater and washer/dryer located on first floor. Sliding pocket glass doors exit to the lanai. Storage closet on lanai for your golf clubs. 2nd floor features two spacious bedrooms, each with their own en-suite bath. Guest bath with tub shower combination. Master bedroom has large walk in closet and en suite bath with walk in shower and vanity. 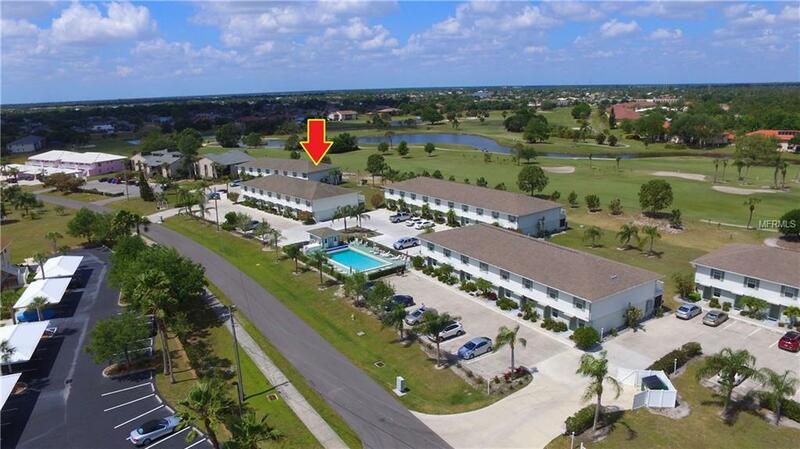 Master bedroom has the luxury of open air balcony to sit and enjoy the golfers. Both bathrooms on 2nd level have tiled floor. Heated community swimming pool for hours of enjoyment. 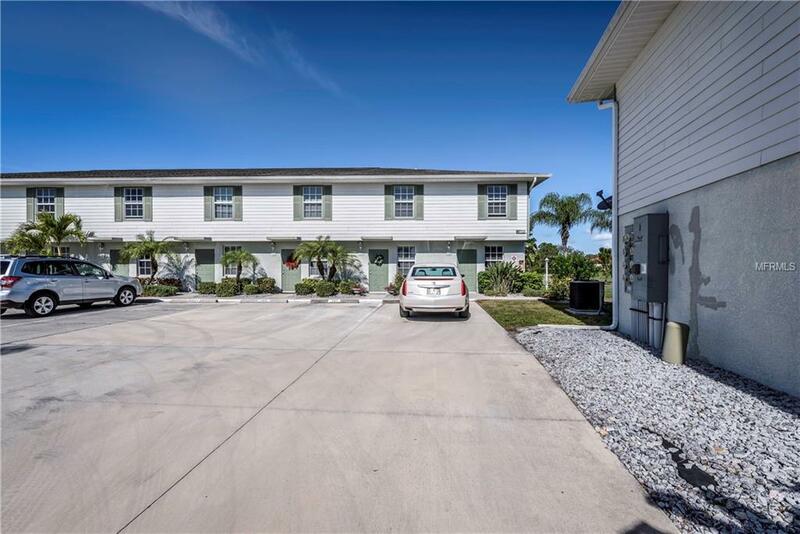 Great location, minutes to some of Floridas best GOLFING, DINING, SHOPPING, PARKS, PUBLIC BOAT RAMPS, MARINAS, BEACHES, I-75, the shopping mall, drive to the Barrier Islands of Manasota Key and Boca Grande & 10 minutes to the Historic Riverfront Downtown Punta Gorda, Harborwalk & Fishermens Village. No age restrictions. Not in a flood zone and no CDD Tax. Pet Restrictions 2 Domestic Pets Per Unit Up To 35Lbs Each. Tenants May Not Have Pets.